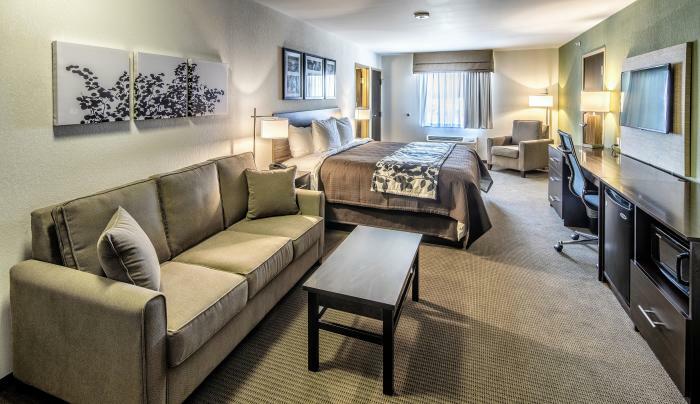 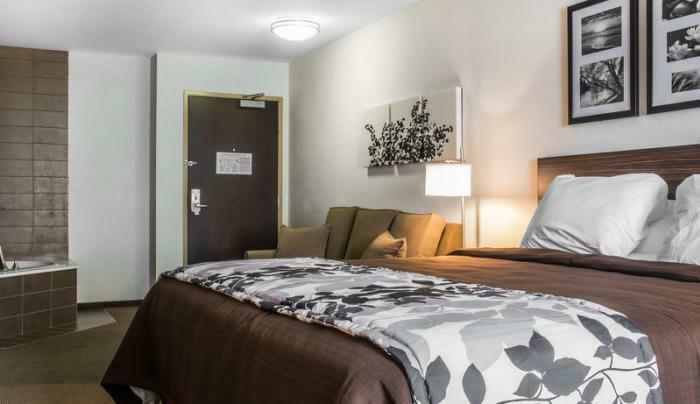 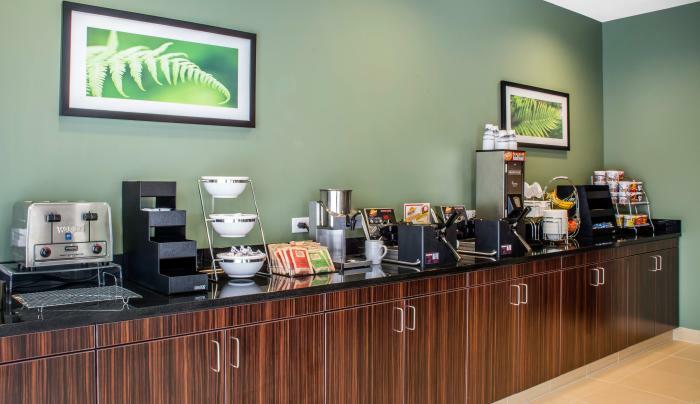 The Sleep Inn & Suites® Airport in East Syracuse, New York, is an uplifting, simply stylish sanctuary that’s designed for a happy night’s rest. 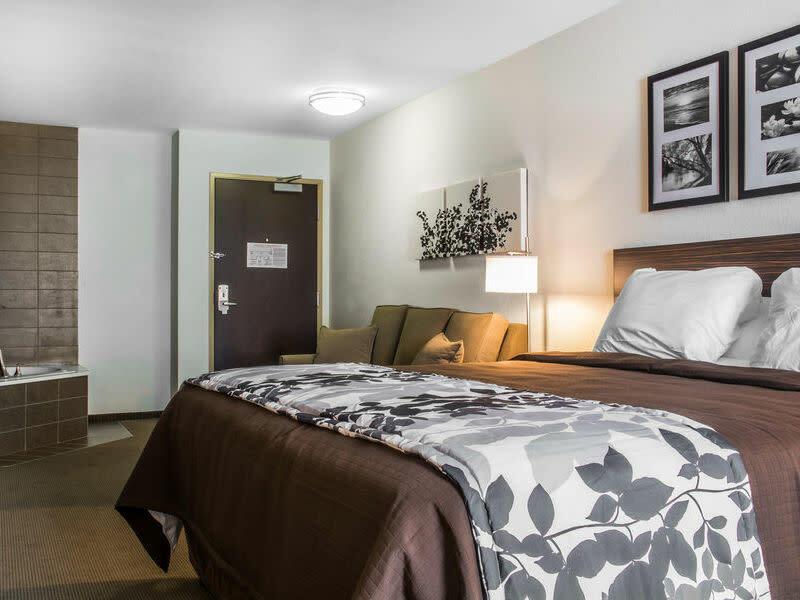 This affordable East Syracuse hotel is conveniently located off Exit 35 of the New York State Thruway (Interstate 90) just minutes from Syracuse Hancock Airport, Downtown Syracuse, Syracuse University, Destiny USA and more. 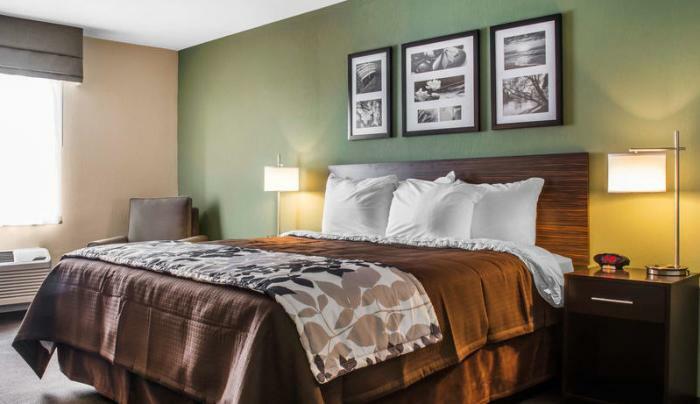 It is also only a short walk to a distinctive Finger Lakes winery. 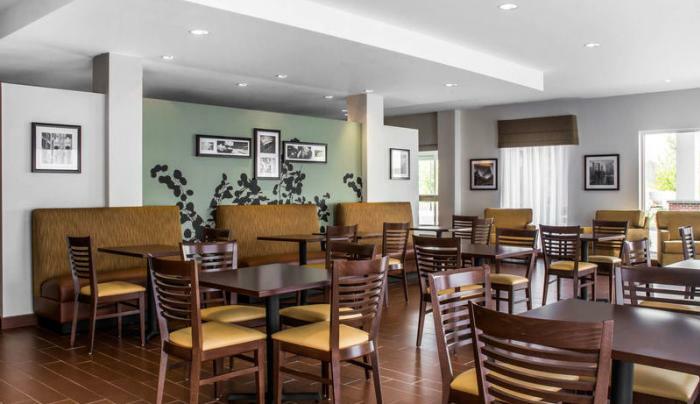 Get work done in their business center complete with access to copy and fax services as well as a computer with Internet. 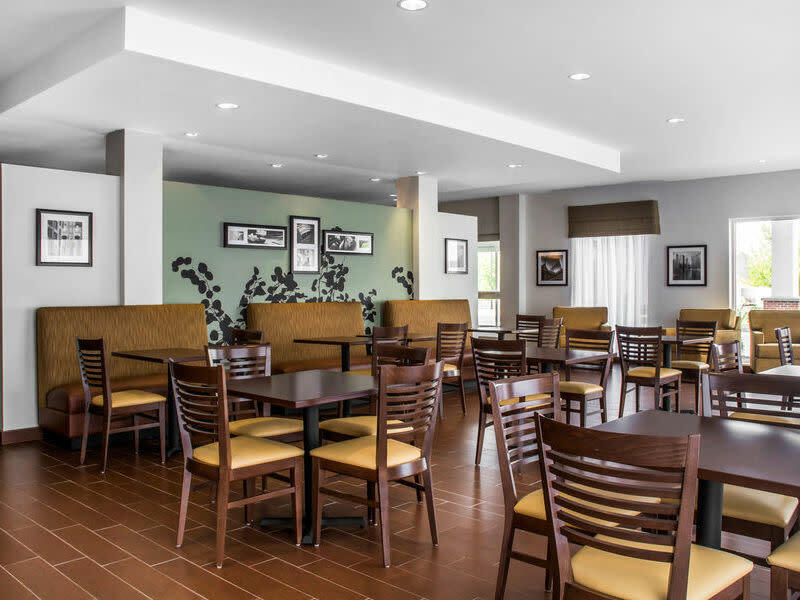 The Sleep Inn features a full service restaurant and lounge, along with banquet and meeting space. 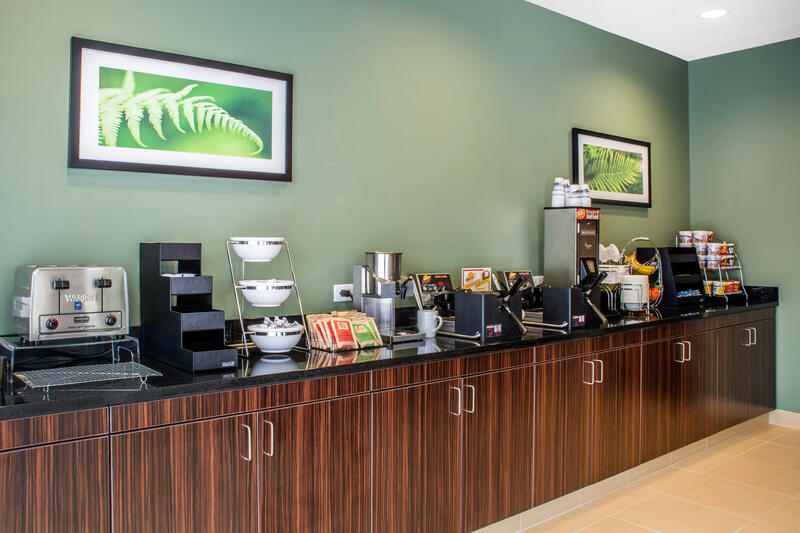 Relax with a free cup of coffee and enjoy amenities that complete your stay like guest laundry, free full breakfast, free wifi, exercise and more. 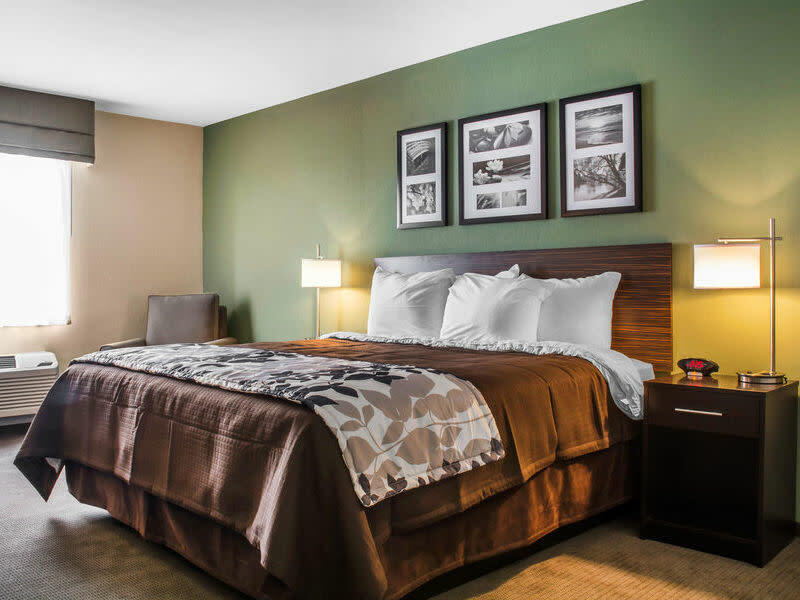 Warm, modern design elements in your guest room will help you rest and unwind. 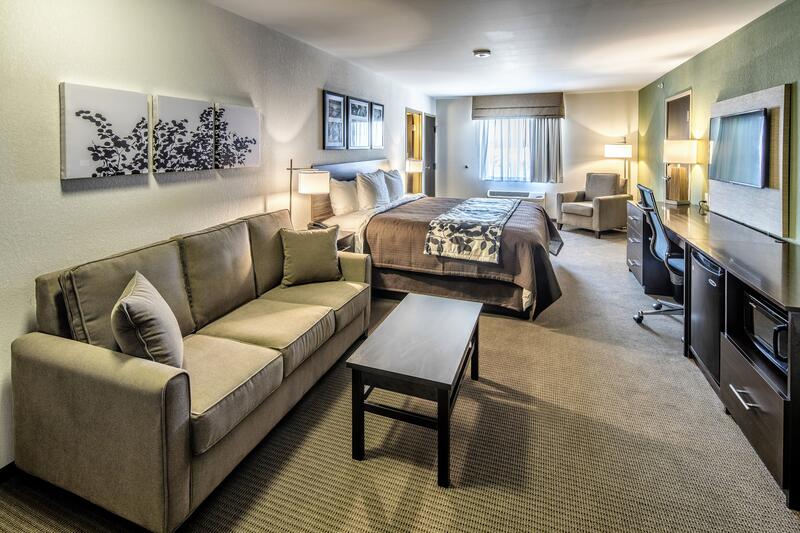 Room amenities include microwaves, refrigerators, desks, flat-screen TVs, irons and ironing boards!